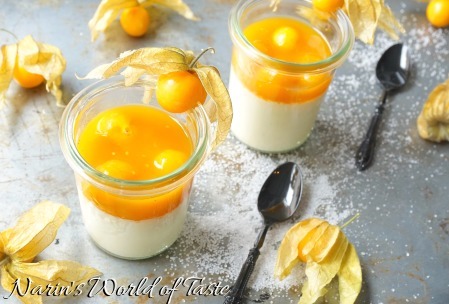 The creamy vanilla taste of panna cotta combined with fruity citrus flavors of passion fruit and physalis coulis is a fantastic combination, especially if you prefer desserts that aren’t too sweet. 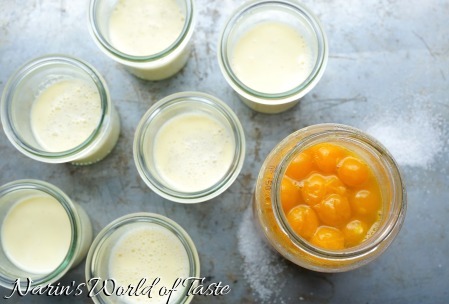 After many attempts to create a perfectly creamy panna cotta using agar agar, I finally managed to get it right. Using agar agar instead of the commonly used gelatin makes this dessert perfect for every vegetarian. Agar agar is derived from algae, whereas gelatin is typically derived from animal products. Split the vanilla pod lengthwise and scrap out the seeds. 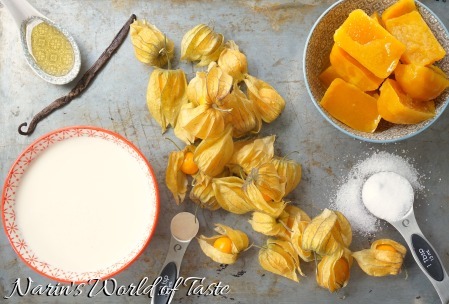 Add both parts to a pot and add the double cream, xylitol or sugar, and agar agar. Be careful and precise when measuring the agar agar because a little too much or too little has a large influence on the consistency. Stir continually. Bring to a boil, which is very important, otherwise the agar agar might not harden. Reduce the heat and simmer for about 5 minutes, then remove the pot from the stove. Strain the mixture through a sieve and let it cool down for about 5-10 minutes. 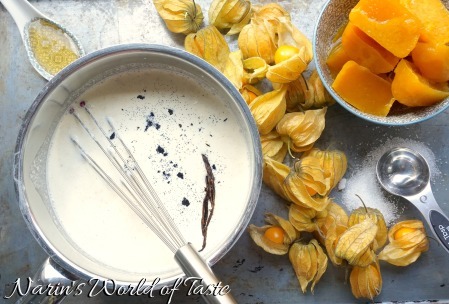 Meanwhile, add all ingredients for the passion fruit and physalis coulis in a pot, except the physalis, and stir continually. Bring to a boil. This is also very important for the same reason as above. 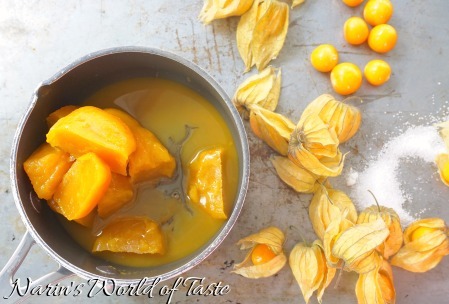 Reduce the heat, add the physalis, and simmer for about 5 minutes. Then remove the pot from the stove. Pour the panna cotta mixture into six dessert glasses. Place them in the fridge for at least 2-3 hours or until completely set – overnight is ideal. The coulis you can pour into a glass with lid or Tupperware, then also put it in the fridge until serving. 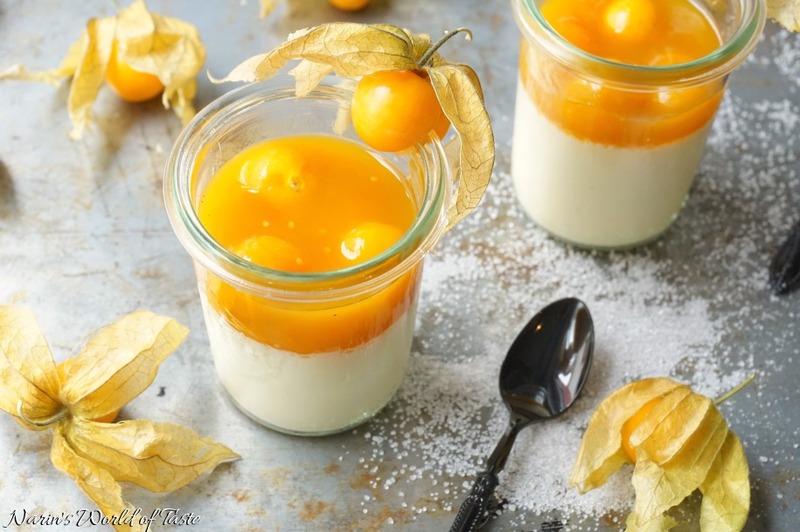 Serve the dessert with 2 tbsp of the passion fruit & physalis coulis on top of the panna cotta and garnish with fresh physalis, for example, like in the picture.